For many winter sports, February marks the most important time of the season as teams gear up for both individual and team championships and athletes always shoot to be in peak condition. For the boys’ and girls’ fencing teams, their performances as of late could not have better timed. Both fencing teams have been enjoying their best performances of the season. After dropping their first four matches of the year, the girl fencers have won three out of their last five, including wins over Newark Academy (20-7), West Windsor-Plainsboro South (15-12), and Hun (15-12). The win over Hun was especially satisfying for the fencing program as the boys were able to capture their first win of the season by also defeating the Raiders,15-12. 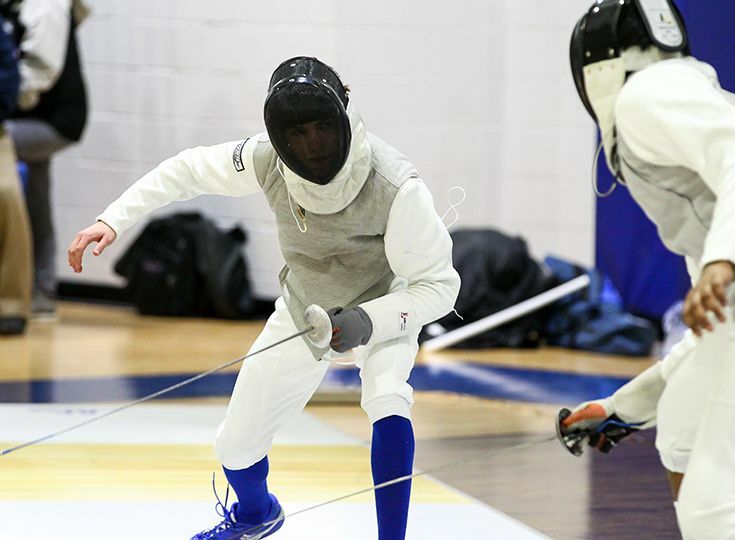 The fencing teams will look to continue their improved performances as they gear up for the NJISAA Prep B Championships on February 13 as well as the State Squad Tournaments on February 23 and February 24. Individually, Brianna Moglianesi ’19 will compete at the State Individual Tournament for women's epee and Alex DeRing ’19 will compete in men's sabre on March 3. Good luck to all of our Knights on the fencing teams as they close out the season!